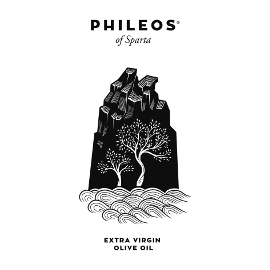 There is plenty of extra virgin olive oil in almost any Greek feast. For example, olive oil is poured over potatoes before baking, included in marinades for lamb, mixed with ground meats for burgers, used for frying potatoes and cheese pies, and liberally added to salads. At one Orthodox Easter feast in Crete, Xanthi’s white dip was especially rich in olive oil. Xanthi explained the recipe for her lovely grilled sweet pepper salad (next to the bowl of white dip) in more general terms. The peppers she used are called florines (Florina peppers) here in Greece. If you can't get them where you are, any good sweet pepper should work. Roast or grill the peppers to blacken them. Add a little wine vinegar to coat the peppers. Add 1 or 2 finely sliced garlic cloves. Drizzle with extra virgin olive oil. For more details on the pepper roasting, see (for example) this recipe. Black eyed pea salad with chopped tomatoes and cucumber, plus sweet pepper and corn for sweetness and extra virgin olive oil and vinegar for a tangy mix. This is a wonderful stuffing recipe in which I do not miss the butter one bit; good bakery bread and an excellent extra virgin olive oil make it perfect. The herbs do have a strong flavor, so you can use less than called for if you prefer. See the link at the end for my inspiration and enough suggestions for almost endless variations on this theme. Warning: the broth mentioned in the recipe is not necessarily vegetarian, but it certainly can be; the recipe appears here since I don't have a section for carnivors' side dishes. According to Mark Bittman, "When fruits and vegetables are at their best, they give you insight into how the vegan thing can work for you, if only for a day." Maria Verivaki's amusing discussion of, and recipe for, Zucchini (or courgette, or kolokithi) Patties from her wonderful Organically Cooked blog. Another recipe that came with the Irish Times article on Ikaria. I think they mean "serves 4" and "200 grams frozen spinach." Of course you can use fresh spinach, too. The herbs are crucial for a lovely flavor. The pomegranate molasses are an unusual addition, although in Crete cheese pies are sometimes served with honey. Accompanying a nice article about Greek food. Ironically, the amount of olive oil has not come through. My Cretan neighbor uses 1 cup of olive oil, an additional onion, and a half cup of red wine instead of the vinegar, but no red pepper flakes. She generally throws some fresh tomato chunks into a food chopper instead of using canned tomato. An Oldways Mediterranean recipe in honor of Mediterranean Diet Month. This easy, economical, healthy vegetarian (and vegan) chickpea recipe with extra virgin olive oil is a Greek classic commonly eaten by just about anyone. This can also be made without any stock. Just add more olive oil and adjust seasonings as desired. Notice that many variations on the basic recipe are mentioned. A recipe that came with the Irish Times article on the diet and lifestyle of Ikaria, Greece (where people live longer than almost anywhere else in the world). Probably meant to say “serves 4,” and “6 tablespoons extra virgin olive oil,” but I’m sure you could use more olive oil and bet they do in Ikaria! I found out that “Passata is made from ripe tomatoes that have been puréed and sieved to remove the skin and seeds”. I’d just purée the whole tomatoes, but you can find or make passata if you want to. It does take some time to grill or roast all the vegetables, but it may be worth it! A four-minute video illustrates Mark Bittman's written recipe. "The ultimate Thanksgiving side dish, maple sage roasted brussels sprouts pair the popular fall herb sage with sweet and buttery maple syrup." See the recipe under the article. An easy, healthy vegan version of mashed potatoes. A simple summer pasta recipe. Extra virgin olive oil is crucial to this common, quick and easy Greek dish, making it tasty, filling, and healthy. It can also be made with green beans, but my family and I prefer the sweetness of the peas with onion and carrots. A very easy recipe, tastier than I could have imagined--a healthy favorite! A vegan recipe for spanakorizo, a Greek spinach and rice dish with olive oil, herbs, onion, and tomato that can be made with white or brown rice. A vegetable stir fry recipe with Greek extra virgin olive oil, my pseudo-Greek version of the Chinese-American restaurant classic, so tasty you don’t need MSG. From Maria Verivakis, a Greek cook, designer, and blogger in Crete who likes “to link food and design with Greek identity.” These can be made with frozen green beans and, if you wish, frozen white beans as well. As the New York Times puts it, "These addictive seasoned 'fries' from Mark Bittman are actually baked, but we promise you won't miss the grease. The spice mix – garlic powder, paprika, salt and black pepper – can be used on regular potatoes as well (you'll just need to increase the baking time a bit)." This recipe’s first name was my teenage daughter’s idea, and a UFO seems appropriate (like its orange color) for Halloween. The second name is closer to accurate, but not exactly. This is a Cretan mother’s variation on some wonderful carrot parsley bread sticks, and an invention so tasty everyone in my family likes it (hallelujah—a rarity for healthy food!). 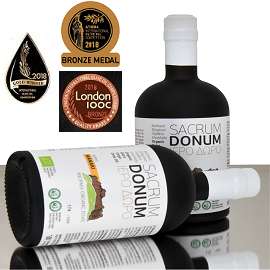 One of the many healthy, economical recipes on the Food Is Medicine website of Dr. Mary Flynn, an Associate Professor of Medicine at Brown University who has studied olive oil's role as a medicine as well as a food since 1998. A really unique recipe, courtesy of the North American Olive Oil Association. Note that it is a savory cheesecake, not a sweet one. This zucchini burger recipe comes from a grandmother (yaya) in a Cretan village. It differs slightly from the other courgette patties recipe linked on this site. Originally, this version called for pumpkin rather than zucchini, but it is so good with zucchini that I recommend it that way. Oranges, pine nuts, raisins, dessert wine, olive oil, and rosemary are combined to create a unique cake. This is a low cholesterol, vegan recipe for a healthier version of a traditional Greek olive oil and orange juice cookie that is tasty, spicy, and crunchy. "Author Notes: Olive oil cake at its best has a crackling crust and an aromatic oil-rich middle, which, if it held any more moisture, would be pudding." Here's one version of a very sweet and usually spicy traditional Greek Christmas cookie from Navarino Icons and Arianna Huffington. We see these in Greek bakeries, supermarkets, homes, offices, and shops around the holidays. Mom's Fudge Cake, Even Better With Extra Virgin Olive Oil! My mother’s original version was so good that I hesitated to tamper with it, but once I gained the courage, I found that it’s even better with yogurt and olive oil than with butter and sour cream! I always make a double recipe and freeze the sheet cake. This cake is so popular, moist and chocolaty, that it comes in handy for any special occasion. This is my mother’s wonderful recipe. A fruity olive oil works very well with cinnamon in this popular, tasty cake. It makes a 9 X 13 inch rectangle or a (more impressive) three-layer cake. I double the recipe, freeze the rectangle, and eat the layer cake first. There’s always an occasion when we “need” the other cake before too long, and it freezes well. The traditional version: a great recipe from a wonderful blog full of olive-oil rich recipes from Greece. 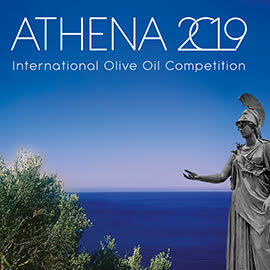 From Nancy Harmon Jenkins, author of Virgin Territory, Exploring the World of Olive Oil. 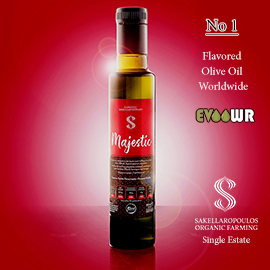 The North American Olive Oil Association Blog says "Nancy recommends the use of a mild, extra-virgin olive oil that still has a fruity flavor. We promise, these brownies won't taste like olive oil. 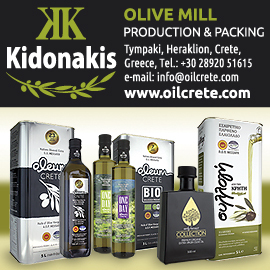 The olive oil imparts a complex flavor that you just can't get from butter." These can be made with a mild extra virgin olive oil or a spicier one, given the spice mix. A cake recipe featuring extra virgin olive oil from the website of Eleones Hellenic Olive Products. Note: 7.5 grams baking powder = 1.63 teaspoons—say just over 1 ½ teaspoons. And 175 degrees Celsius is approximately 350 Fahrenheit. This is a very tasty, simple cake that requires just one pan, where the batter is mixed, and no bowl, which makes cleanup very quick. Made with extra virgin olive oil, no butter or eggs, and just a reasonable amount of sugar, it is an excellent cake for an everyday treat. This is my young son’s favorite recipe to make and share, so the recipe is in demand. Sugar-free apple-orange pancakes made with extra virgin olive oil (olive oil pancakes), the one food every member of my family enjoys, tasty enough to eat plain, easy to freeze. An excellent sweet but sugarless snack for those of you trying to avoid added sugars. If you like things spicy, double the cinnamon and add ¼ teaspoon of cloves. I always use extra virgin olive oil as the oil, which works well. I prefer to use a larger, shallower pan such as a deep rectangular glass baking dish in place of the recommended loaf pan so the center gets fully baked. Greece has something like this, too, without the black pepper. These are the best bread sticks I've ever eaten, and they're healthy, too! They can be made with some whole wheat flour mixed in with the white flour, although the total amount of flour you need may need to be adjusted so the dough is a good consistency to work with. Baking time will vary depending on your oven. A dip with herbs, garlic, scallions, feta, yogurt, and olive oil; surely the optional mayonnaise is unnecessary! A video from Eating Well demonstrating a quick, easy, healthy recipe. 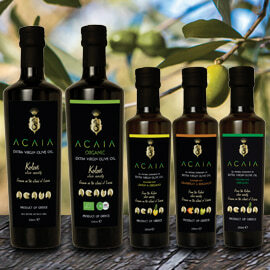 From the makers of Acaia olive oil; see their site for more intriguing recipes as well! "A drizzle of honey and a blast of heat transform a standard block of crumbly feta into an unexpectedly luscious, creamy spread for pita and vegetables." An easy, spicy recipe from PrepnReady to try with extra virgin olive oil (my suggestion!). Here are both a meditation on and a recipe for Greek salad, old and new world versions. This sounds like an easy, appealing recipe. Here is a very useful basic vinaigrette (salad dressing) recipe from Oldways, with several possible variations. I'm not sure this is what a Cretan goatherd had in mind when he pointed out dandelion greens to me, but you might try it. Here is a beautiful Greek salad with the gorgeous color of beets. It may not be truly Greek, but the salad in this short Eating Well video looks good, easy (if you have cooked chicken), and healthy. A quick, easy, healthy salad with herbs and olive oil in a video less than a minute long. This is a simple, basic dressing recipe with lemon juice instead of vinegar, plus variations using herbs and/or garlic. One of the most popular recipes in the New York Times in early June 2016, this sounds like an interesting way to use chickpeas--and celery. I never had bulgur salad just like this, but it sounds good! There is both a video and a written recipe here. You can roast various vegetables for such a salad, but this avocado dressing is unique. As the New York Times says, "in 2002, Mark Bittman published this revolutionary approach to roasting the Thanksgiving turkey, which allows you to cut the cooking time of the average turkey by about 75 percent while still presenting an attractive bird. Simply cut out the backbone — or ask your butcher to do it for you — and spread the bird out flat before roasting...." Recipe and video provided. If you didn't think olive oil was part of Easter, think again! Two of the New York Times top ten Easter recipes for 2016 included olive oil, and that’s not even a Greek paper! Yes, you can make chicken fajitas with olive oil! This chicken schnitzel recipe comes from a cook in a Greek taverna. Very popular with Greek children, it is a healthy food when fried in extra virgin olive oil. It's not exactly the same, but this recipe reminds me of some of the most wonderful chicken I've ever had (at a restaurant in southern Crete). If you like to cook with lobster try this, especially in tomato and basil season. Probably the most unusual recipe with olive oil I've seen yet. For boneless turkey breasts, the marinade with Dijon mustard, balsamic vinegar, herbs, and olive oil produces a very tasty turkey dish. Try to prepare this early enough to marinate in the fridge overnight if possible; otherwise, an hour or so will do. There is a gravy recipe, if you want one, as well as photos and a video demonstration. This looks like a simple recipe with a nice dose of olive oil.